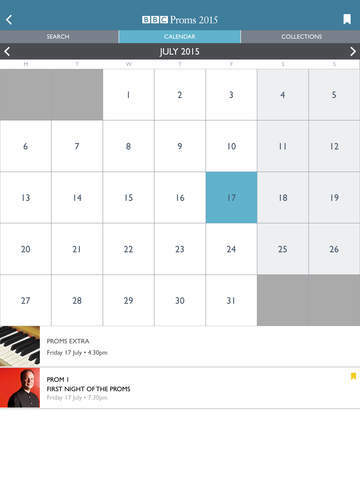 •	a favourites list – add the events you’re most interested in and export them to your device calendar so you never have to miss a Prom! With beautiful photographs and bespoke imagery throughout, download this official Proms Guide app to plan your summer’s Proms visiting, watching and listening. The BBC Proms, celebrating its 120th year in 2015, is the world’s biggest and longest-running classical music festival and features many of the greatest artists and orchestras from the UK and around the world in over 80 concerts at the Royal Albert Hall and Cadogan Hall. There are also daily free Proms Extra talks, workshops, performances and family events. • Preview clips of pieces to bring the concert hall closer to you!